On March 15-16, more than 650 people attended The SOLA Conference to worship and learn together. The conference, which is in its 7th year, is hosted by The SOLA Network, which is a coalition of Asian American churches that exists to influence the emerging generation with the Gospel of Jesus Christ. 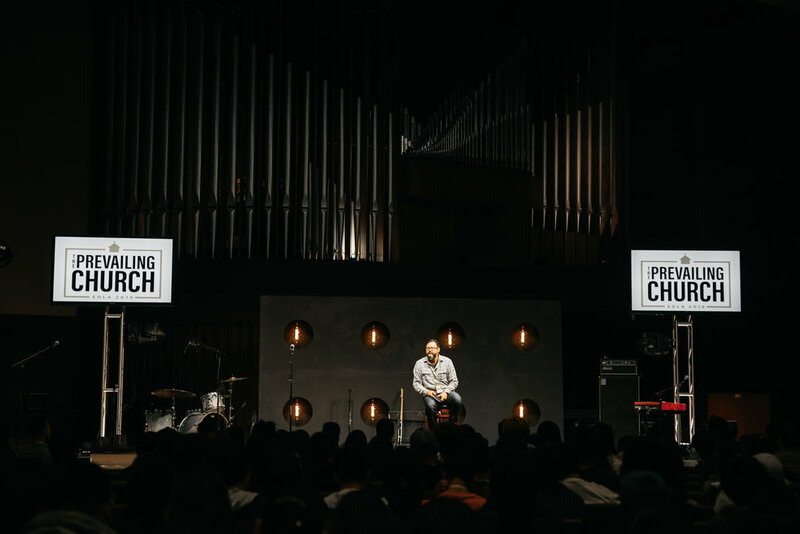 This year’s conference, which took place at New Life Community Church in Artesia, CA, had the theme, “The Prevailing Church,” which centered around the idea that God's church is being built by Jesus no matter how strong the external cultural pressures from beyond or how fierce the internal struggles from within. Conference attendees heard powerful messages on the brokenness and beauty of the church from the three main session speakers: David “DL” Larry Kim, Lead Pastor of Harvest Korean Presbyterian Church of Orlando; Bryan Loritts, Lead Pastor of Abundant Life Christian Fellowship; and Jeremy Treat, Pastor for Preaching & Vision at Reality LA. “There was a cohesiveness to the plenary sessions working their way from Christ's love for the broken and busted Bride, to the Church's embodiment of that strange, costly love, and finishing up with practical applications for what it looks like to prevail in our very real local church contexts,” said Joshua Lim, a member of the SOLA Executive team, which planned the conference. In addition, the band Citizens & Saints led praise for each of the sessions. The group played favorites (“Made Alive”) and hymns (“Come Thou Fount)” with its own signature twist. The conference also hosted two rounds of seminars on Saturday, with topics ranging from dating & marriage, weeping with those who weep, and church burnout. There was also a large-group Q&A on Saturday called, “The Dignity and Danger of Race in the Local Church,” with panelists Alexander Jun, Professor of Higher Education at Azusa Pacific University, and Ray Causly, Co-Lead Pastor at Living Way Community Church in Los Angeles. Lim said that many attendees appreciated the fact that there was a discussion on race and how that relates to the Church. Plans are already underway for next year’s SOLA Conference. Media from this year’s conference will be available on the website: www.sola.network. Hannah Chao is a writer and the editor for SOLA. She is also on staff as the administrator at All Nations Community Church. Hannah is a wife and a mom of two beautiful little girls. You can follow her on Twitter. Newer PostWhat's Wrong with Our World?